This tag complaints with EPC C1G2 (ISO18000-6C) standard, operating frequency is 860～960MHz (It can be used worldwide). Each tag has a unique ID and stores user data. 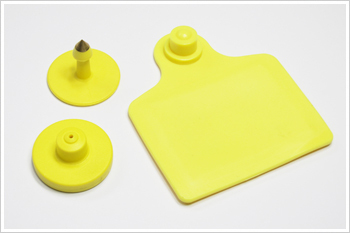 This product is mainly designed for animal(pigs,cattle,sheep)management. This tag is made of TPU, can be packaged into LF, UHF tags, (It can be used worldwide). Each tag has a unique ID and stores user data. This product is mainly designed for poultry tracking, such as birds, pigeon, chicken and so on. Application: poultry tracking, such as birds, pigeon, chicken and so on.